Join us this Saturday evening for a free concert of Irish and African music featuring two remarkable female vocalists — Aoife Clancy and Adjaratou Tapani Demba. This concert will take place on Saturday March 19, 2011 in the sanctuary of St. Anne’s Episcopal Church in downtown Lowell. Aoife Clancy brings a refreshing new voice to traditional Irish songs, ballads, and recitations. Originally from County Tipperary, Ireland, Aoife was brought up in a family steeped in music and poetry, which her father Bobby Clancy passed down to her. She is a former member of the popular “Cherish the Ladies,” one of the most sought-after Irish American groups in history. Now with seven recordings under her belt in the last decade, Aoife has clearly established herself as one of the divas of Irish folk music. 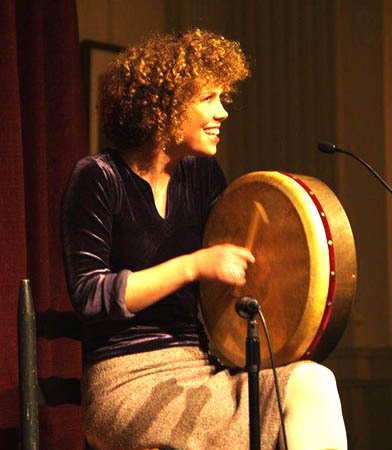 Accompanying herself on the Irish bodhran (drum), Aoife will be joined by Shannon Heaton on flute and All-Ireland champion stepdancer Jaclyn O’Riley. 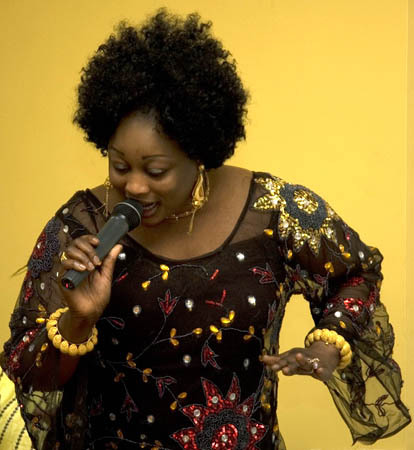 Adjaratou Tapani Demba brings us the West African traditional art of praise singing. In her native Mali, she is known as a djeli – a kind of oral historian, peacemaker, and performer who is born into the responsibility of keeping alive and celebrating the history of the Mandé people of Mali, Guinea, and other West African countries. In addition to concerts, Tapani performs at weddings, baptisms, and other domestic ceremonies within the West African immigrant communities of Boston, New York City, and beyond. She will be accompanied by Balla Kouyaté on balaphon (forerunner of the xylophone) and Moussa Diabaté on ngoni (forerunner of the banjo). The evening’s singing, music, and dance pay tribute to the rich musical heritage of Lowell’s Irish and African communities. The program is part of the recently launched Lowell Folklife Series sponsored by Lowell National Historical Park.